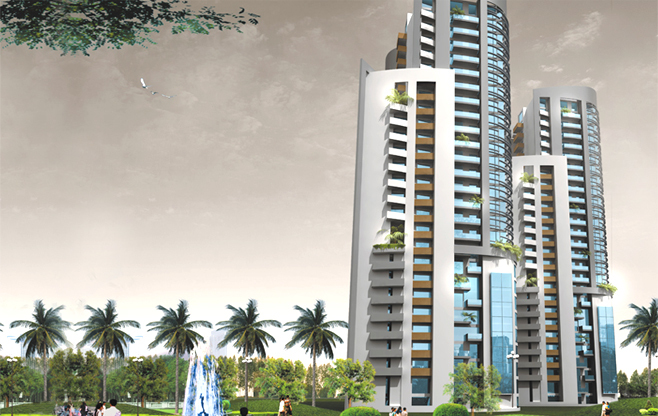 Designed within the framework of green architecture, 3C Lotus 300 is an ideal destination for you. Strategically situated in the lively suburbs of Noida sector- 107 the well equipped 300 luxurious condominiums of this mega township is the finest example of innovation and sheer luxury. Covering 10 acres of area, this well designed habitat offers you the widest range of 3 and 4 high end lavish condominiums and excellent duplexes in plethora of options. This opulent residential estate with its pristine environment and lush landscapes offer you a picturesque view of beautiful lining broad avenues.